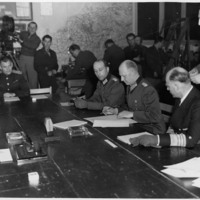 The Chief of Staff of the German Army, signing the document of unconditional surrender for all German forces, bring the war in Europe to a close, May 7, 1945. 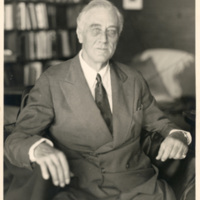 The last photograph of Franklin Roosevelt, taken in the Little White House, Warm Springs Georgia, April 12, 1945. 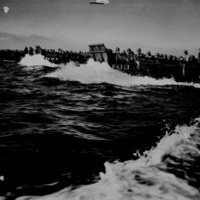 A wave of landing craft heading for the shores of Luzon, and the final battle to retake the Philippines, January 9, 1945.